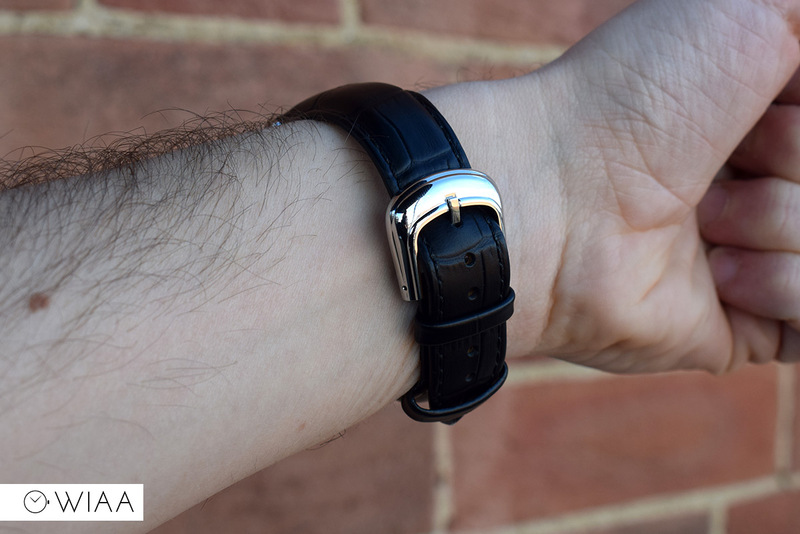 Published by Joshua Clare-Flagg on 20 Mar, 2017. 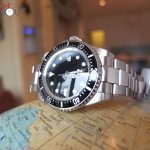 I’m always pleased when a new watch manufacturer gets in touch with a unique offering. 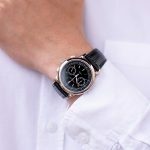 Things can tend to get a bit stale around the affordable watch bracket so when something like this timepiece from Graff Weinberg turns up, it’s pretty interesting. 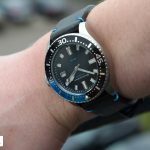 The GW0106 will cost you €289 / ~£250, which isn’t too crazy when you consider this is a watch that requires a lot of custom elements. 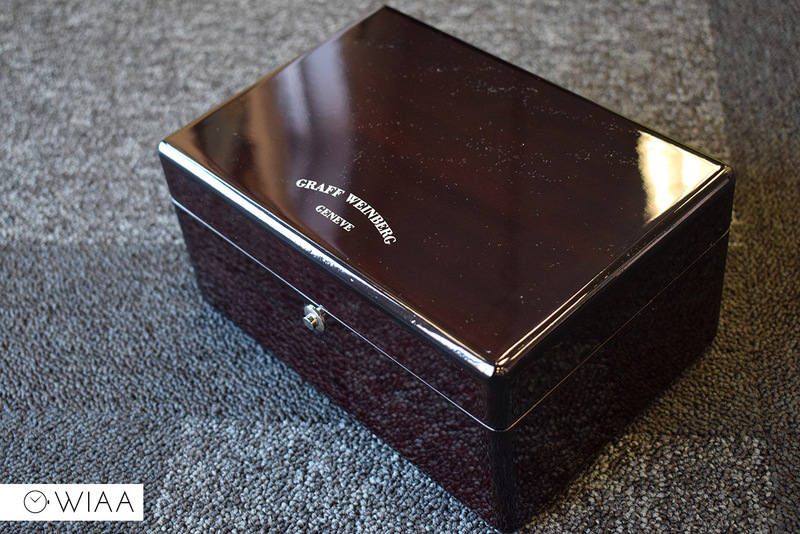 It also comes in a lovely presentation case (pics below), which is always a lovely bonus. 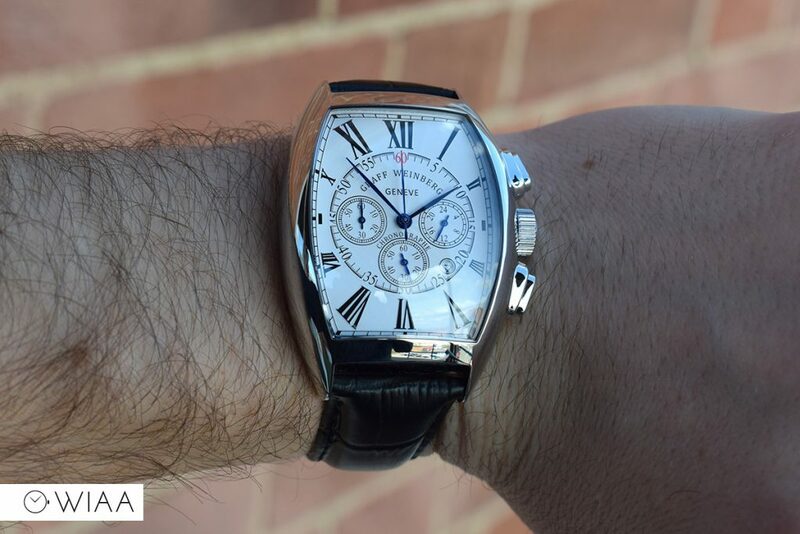 From a design standpoint, it’s obviously a Franck Muller homage – but that’s ok, as I’ve not actually come across any before for this price. 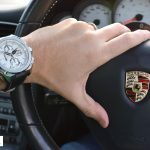 Let’s see how good this watch is for the money. 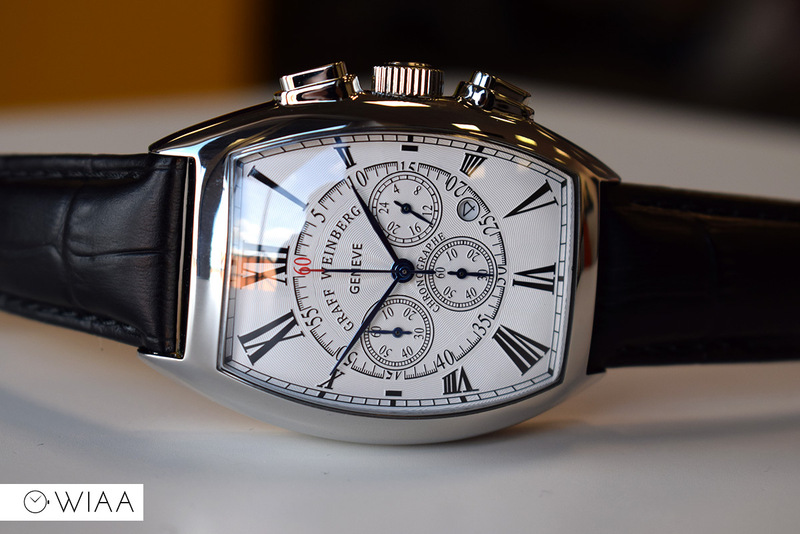 The case is a tonneau shape, and is extremely fluid. 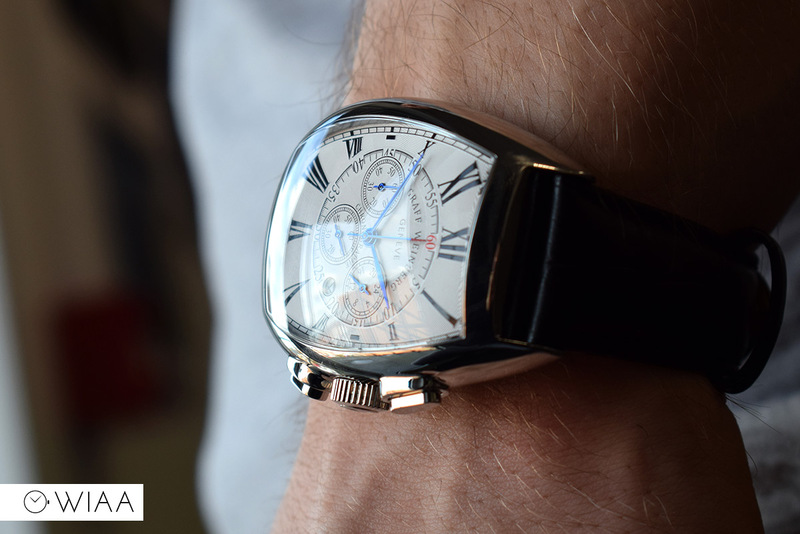 Although the dimensions don’t seem it, the watch is definitely on the large size: it sits tall and long on the wrist. 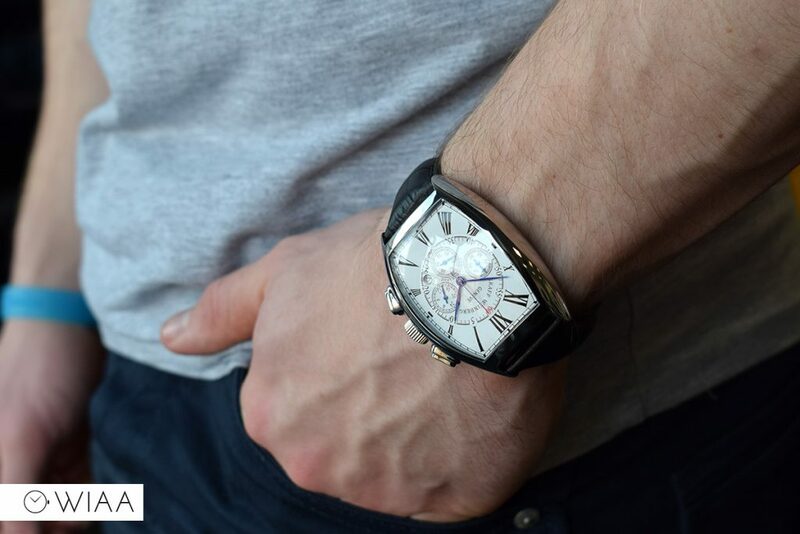 Because of the shape, size and finishing, it creates quite a spectacle on the wrist. 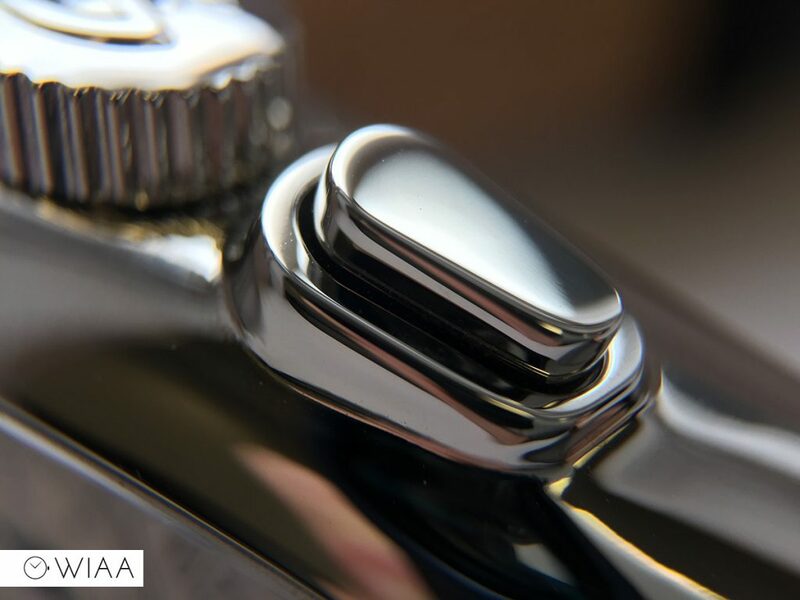 The case is beautifully polished – the finishing is very good quality. 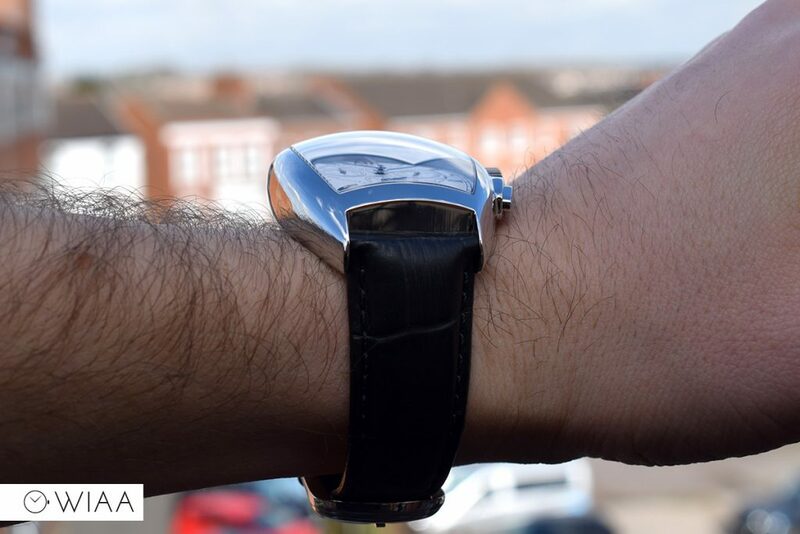 It’s not the cheaper chromey appearance that you see on some watches, but rather a real, solid, finish. 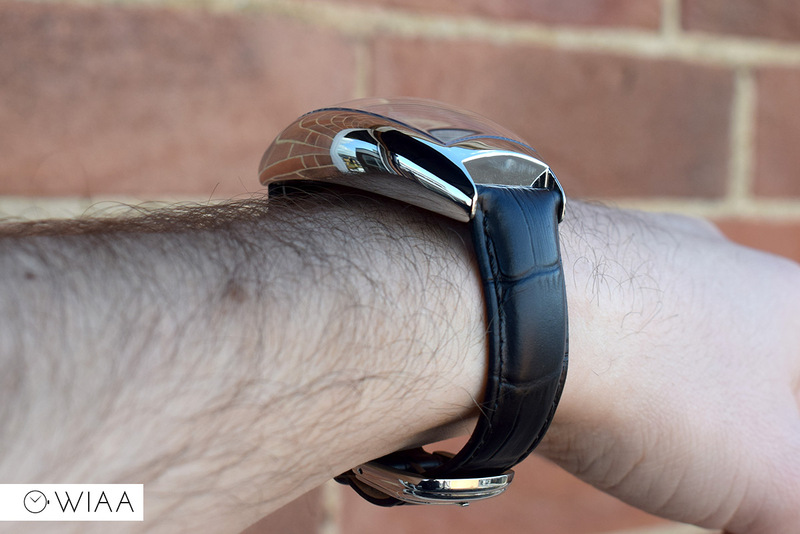 The watch features a highly curved mineral crystal, which is very reflective. 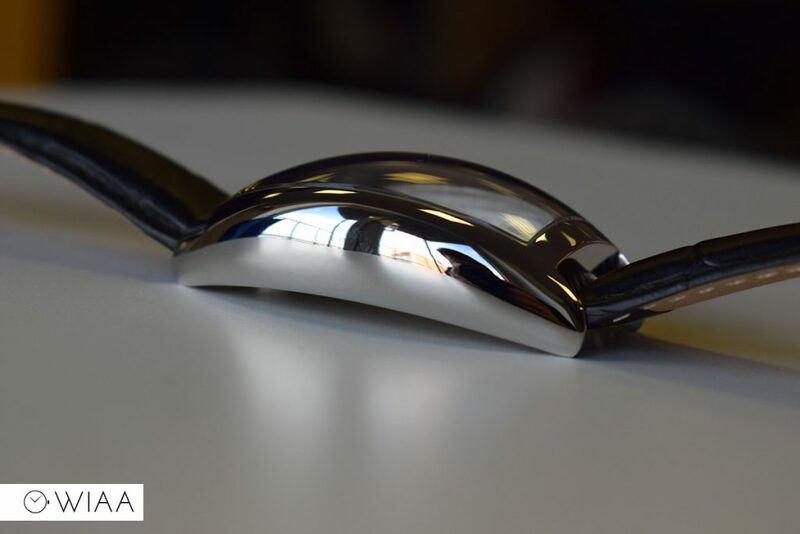 Obviously I would have obviously preferred a sapphire crystal, with anti-reflective coating, but no doubt this would be hard to manufacture and would result in a price increase. The work around the pushers and crown is impressively done. 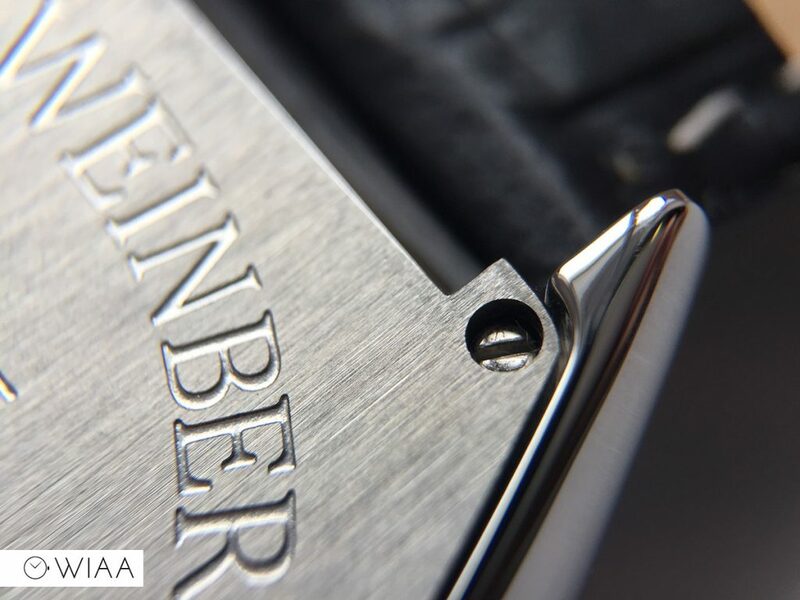 The pushers are a large tear drop shape with a deep border surrounding them, and the crown has a good grip and the Graff Weinberg “G” logo embossed on the end. 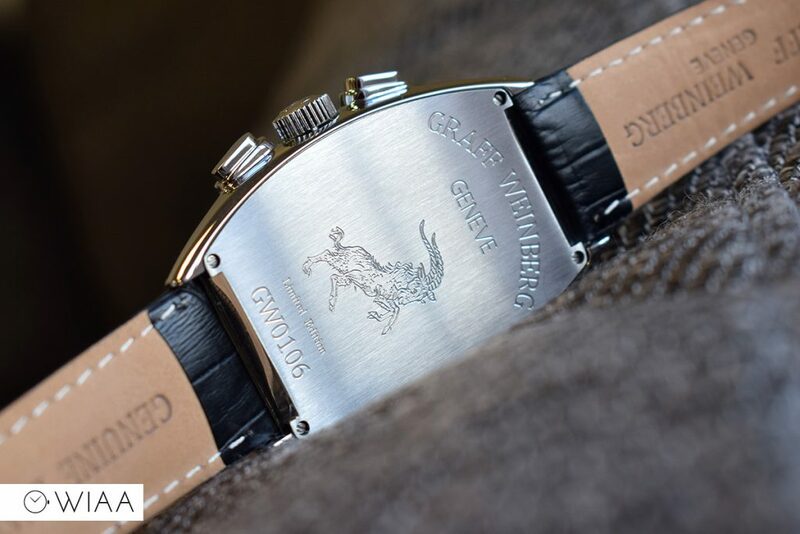 The caseback is the only part that is brushed, and has pleasant detailing deeply engraved. 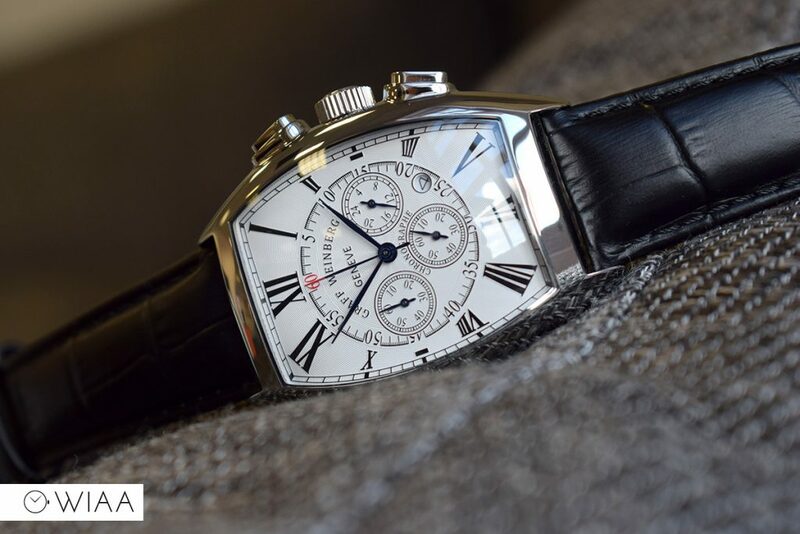 The dial is distinctly Franck Muller style. It’s very detailed; it has lots going on. 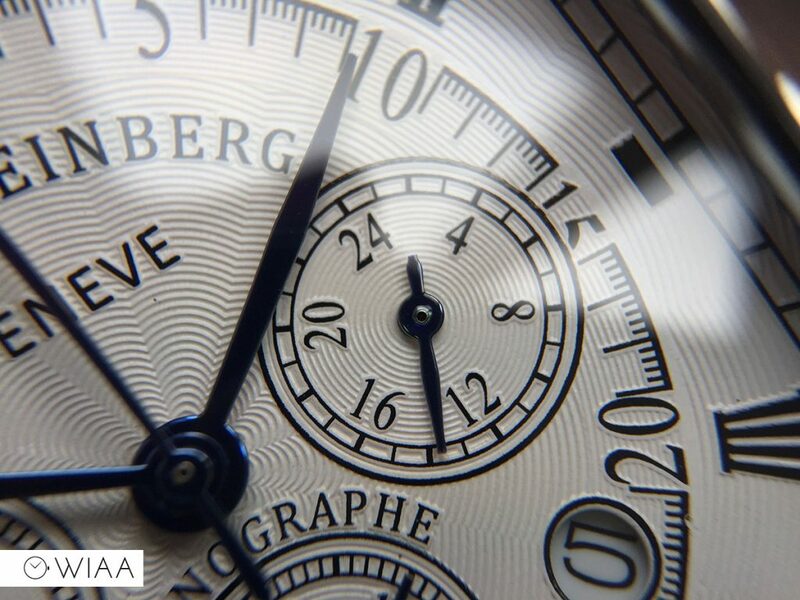 The pleasant texture to it is called flinqué engraving – which refers to radiating scallops in a concentric circular pattern. 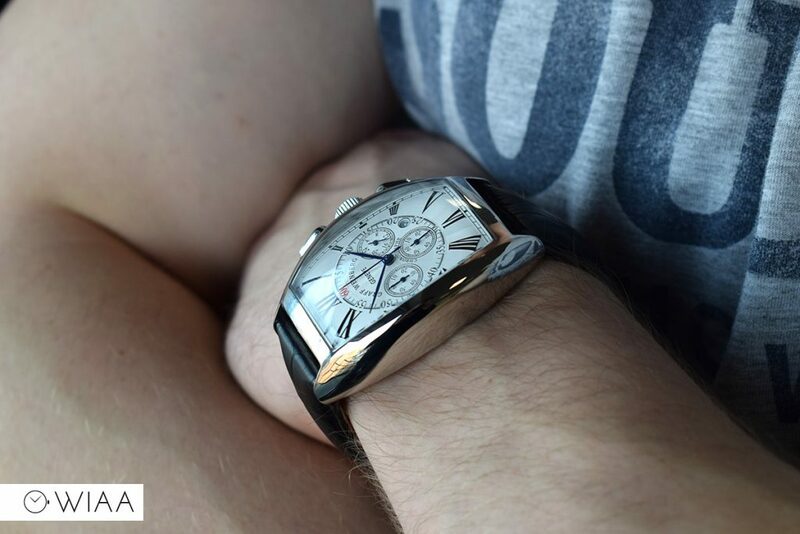 The provides lovely and rather impressive detailing and depth to a watch that doesn’t seem to be expensive enough to boast it. Everything is printed on the dial, there are no applied elements. 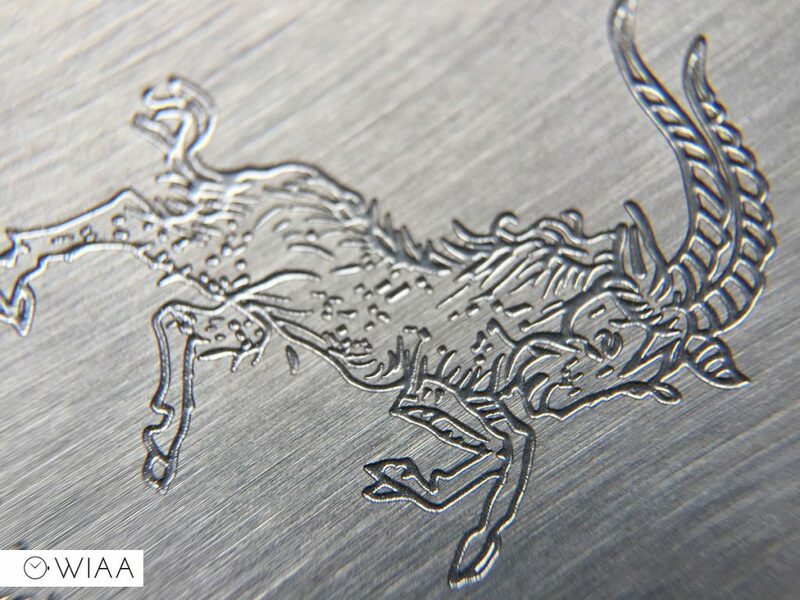 The printing is fine and accurate, and in many instances it is on a small platform so as to avoid printing directly on the texture. 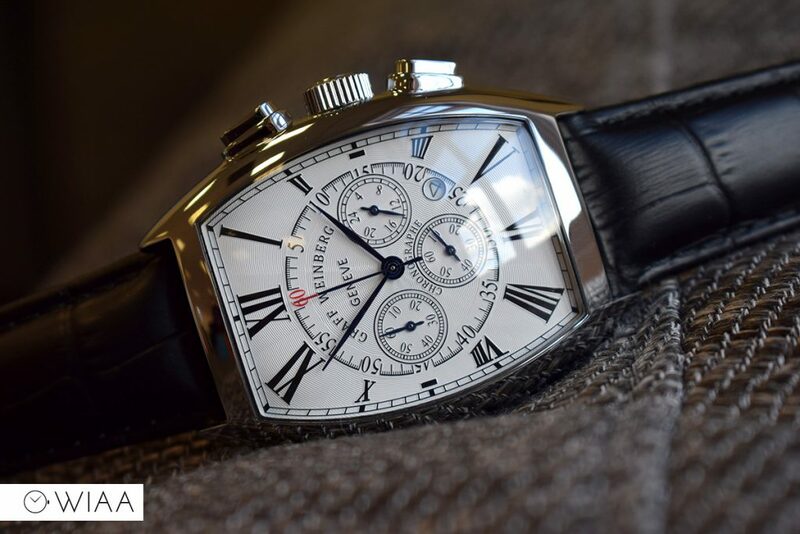 The hour markers are large roman numerals, again in the distinctive Franck Muller styling. 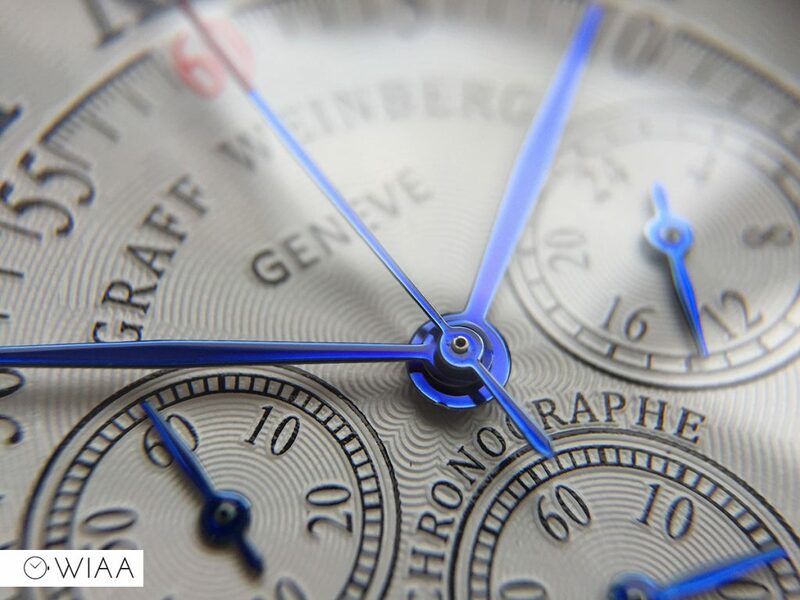 The hands are blued, and are simple thin leaf shape – bar the big seconds hand, which is a straight blue point with a red tip. 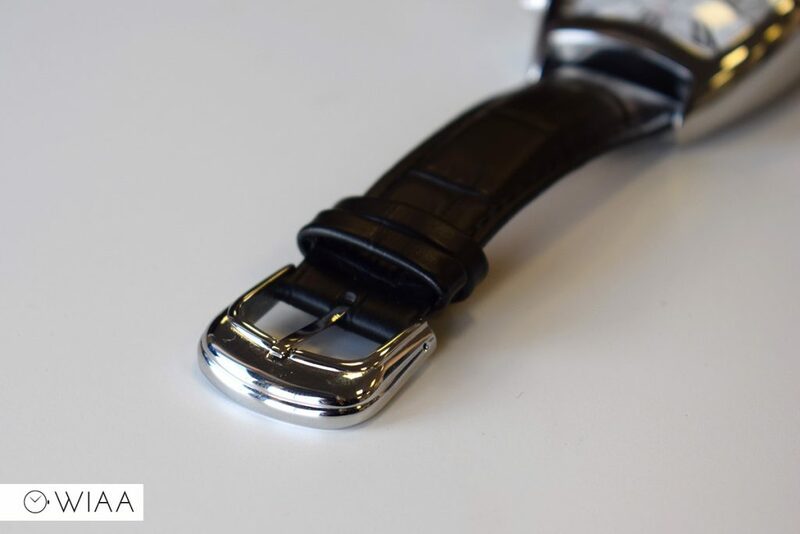 The 20mm wide strap is a deep classy black with matching stitching. 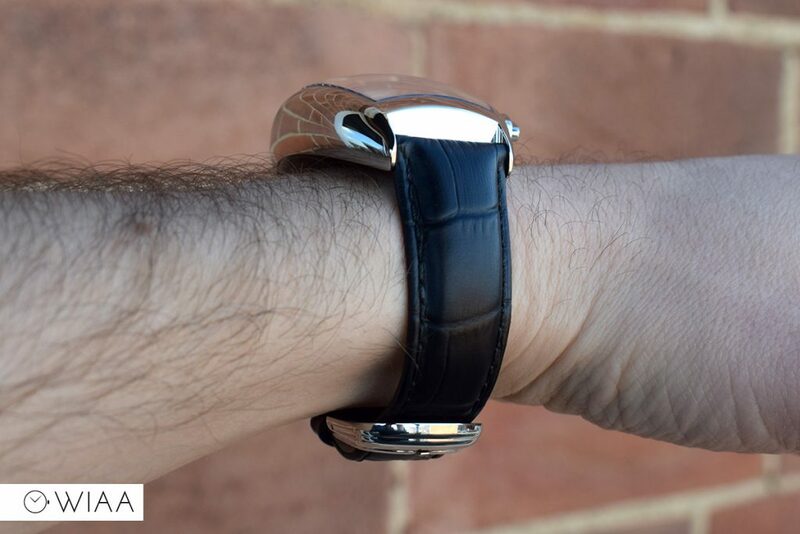 The leather is good quality, being soft and supple and easy on the wrist. 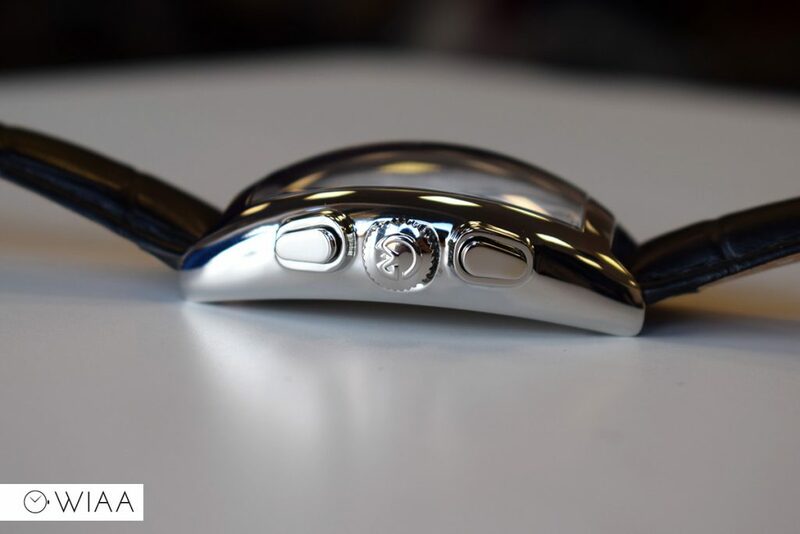 It features an alligator stamp on the top. 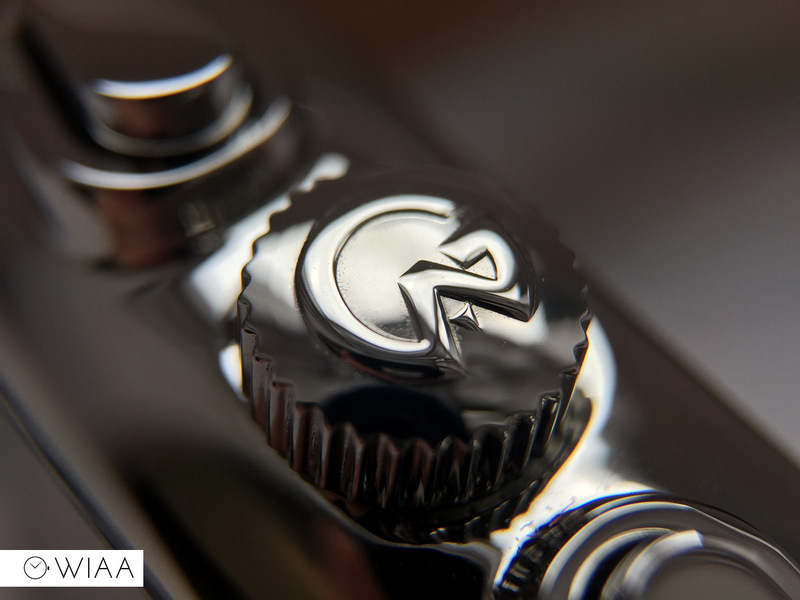 The buckle is highly polished like the case. 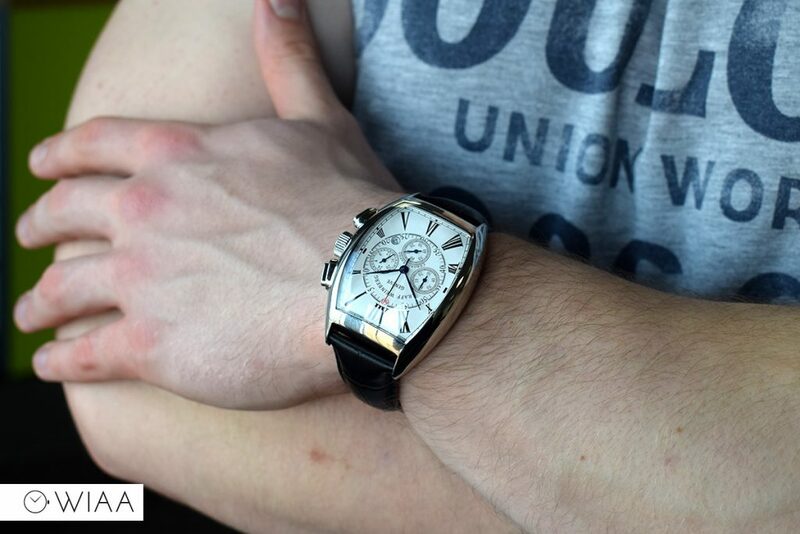 It is an interesting design – quite art deco in style, which suits the watch well. 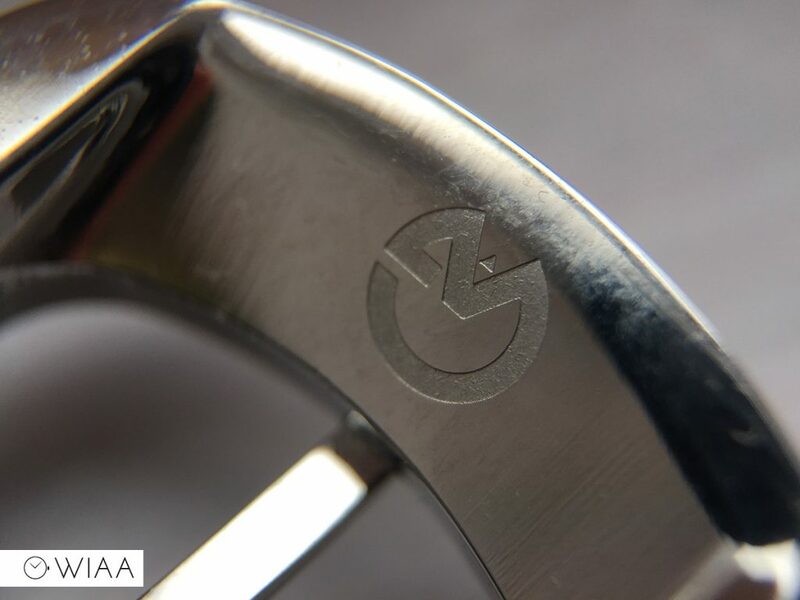 It has the G logo lightly engraved on the underside of the top bar. 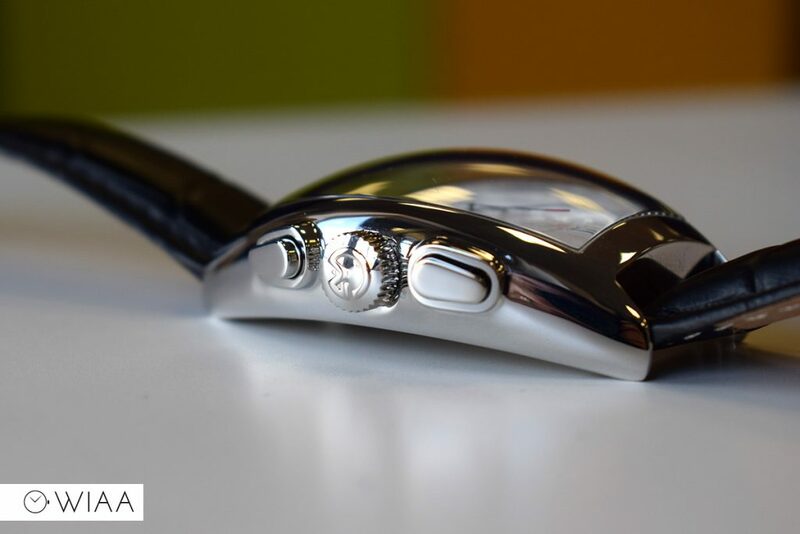 The movement used is a Citizen Miyota OS20 chronograph. 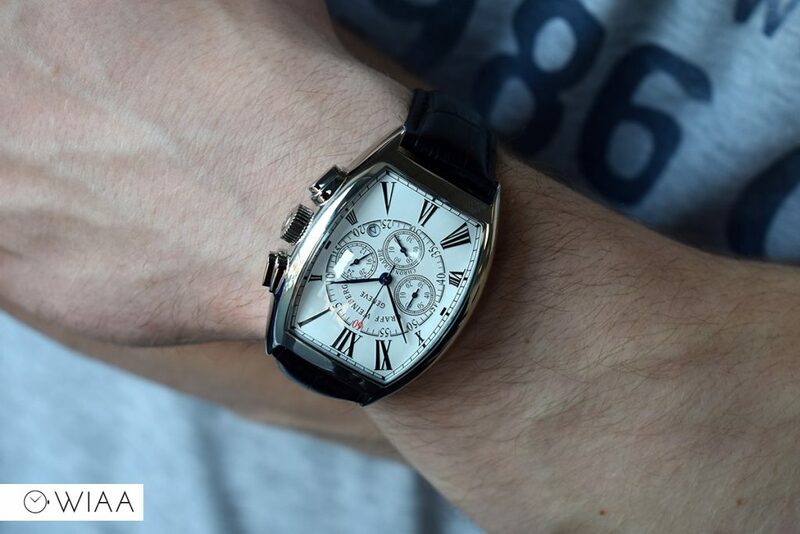 This is an incredibly popular quartz chronograph movement that is made in Japan. 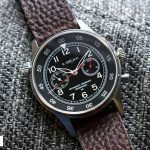 It has 5 years’ battery life, date indicator at 4, 24 hour indicator at 3, chrono minutes at 9, chrono seconds indicator on the big seconds hand, and running seconds at 6. 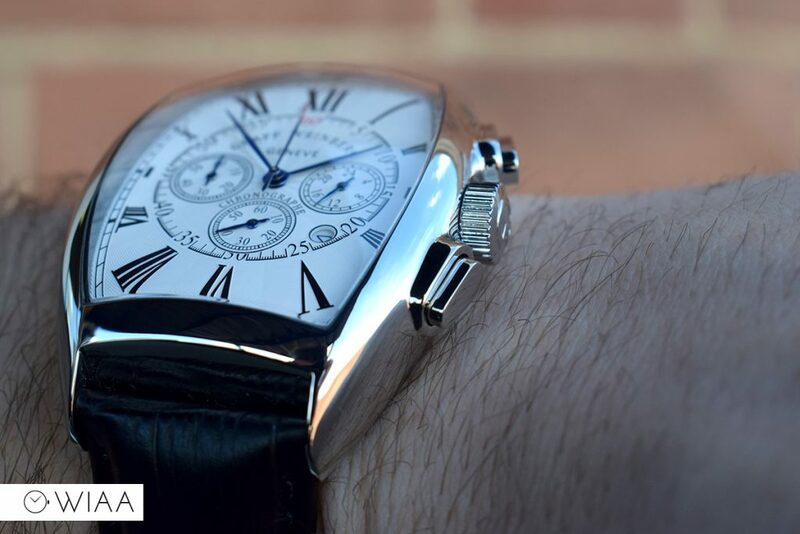 The Graff Weinberg GW0106 has excellent finishing for a watch of this value. 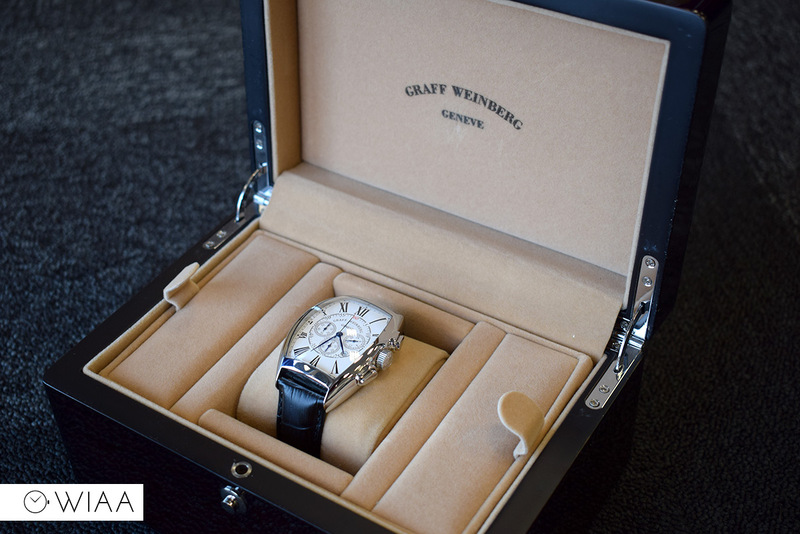 The case is a real surprise, and the packaging / watch box is a nice addition too. 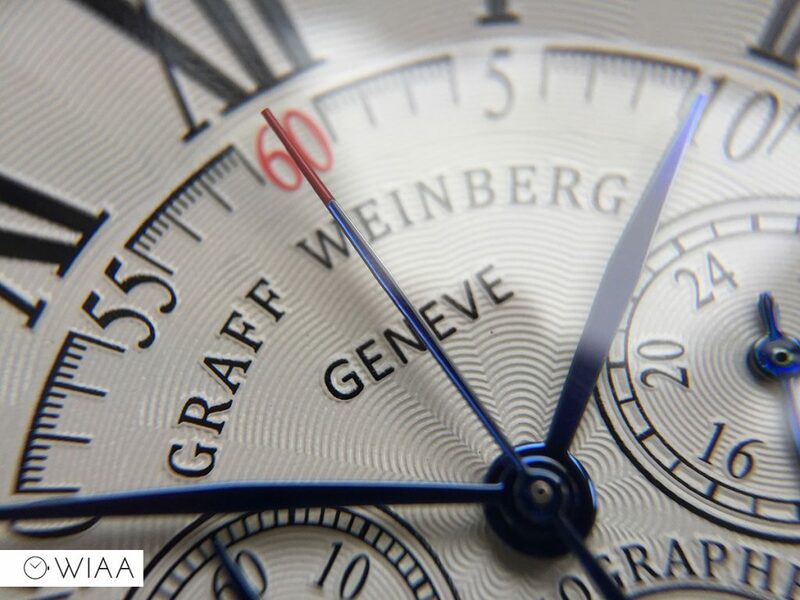 If Graff release another watch in the same style that has a mechanical movement in, then it’ll flow off the shelves. 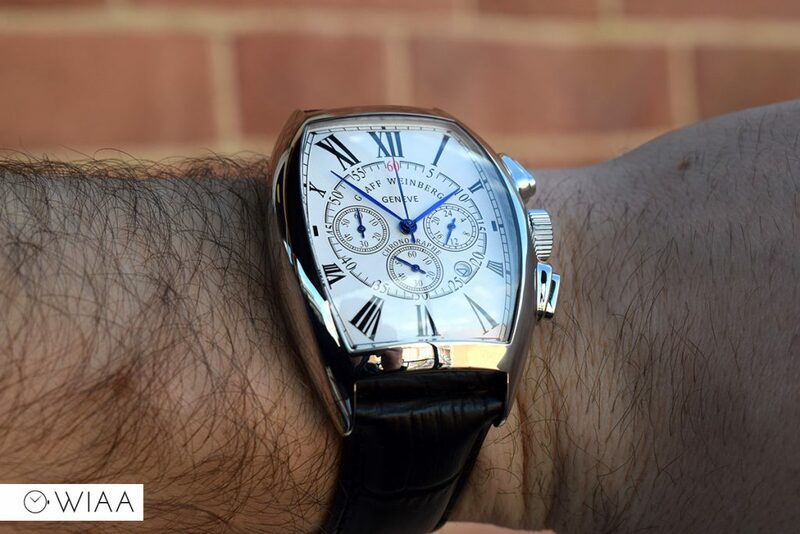 Certainly if you’re interested in a Franck Muller homage, then this is for you – not only because there’s nothing else available, but because it’s genuinely a great watch.